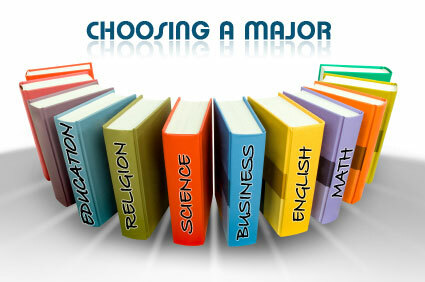 One of the most challenging problems college students face is choosing a major. I remember applying to all my colleges and having such a large variety of majors to choose from. Some that I never even knew existed. Whether you already know what major you want to be in or not, it’s still scary to realize that whatever you choose will be your concentration for the next 4 years. The problem with having to choose a major so early in your college career is that there isn’t ample time to really explore different majors. How are you supposed to discover your passion for a major such as digital arts if you’ve never taken a class about it? Many students begin their first years in college as undeclared majors. Being an undeclared major has its advantages. Undeclared majors have the advantage of being able to takes all sorts of classes and discover subjects that capture their interests. Some people, however, don’t realize that being undeclared can also be detrimental though because you may not receive as many resources as declared majors receive. For example, at Chapman University, if you begin college as an undeclared major, you don’t get a specialized academic advisor to guide you through your course selection. You also lose the ability to take classes designed for specific major early. My decision to enter college as a declared major was because of scheduling. For my major, Biochemistry, it is important to start classes on time in order to graduate in exactly 4 years. Someone who starts out undeclared could easily end up staying an extra year to finish all the major requirements. So then how do you choose a major? What is the purpose of a major? Well the huge debate begins with which is better, choosing a major that you’re passionate about or one that can give you a more secure future? There are majors such as art history, Latin, or world literature that seem more like passion-based majors compared to Engineering or Computer Science which can be very realistic choices tailored towards specific jobs. On one side choosing a major that is more passion-based feels much more rewarding since it’s something that you actually like and want to learn about. However, your passion and interest doesn’t necessarily mean that there are employment opportunities with that major. With college being so expensive today, is it really worth all the money to major in something that doesn’t help your future employment opportunities? I think that depends on what you plan on doing with your degree. I have always had a huge interest in music to the point where I even considered majoring in music at Chapman. My issue with becoming music major was what opportunities would my degree offer? For me, music seemed more like a skill or a hobby, and I could not envision myself making a life out of playing piano. I wasn’t nearly as talented as other piano performers nor did I have the commitment to practice. I eventually decided to go with a biochemistry major because I also had a large interest in science (not as much as music though), and the opportunities for a biochemistry major seemed far greater. Even after choosing a major, many students decide to change their minds. About 50 percent of declared students decide to change their major. Sometimes it’s difficult to find a subject that interests you and even more difficult to predict your own future. With so many students changing majors, it is normal to find students spending over 4 years in college. Actually about 40 percent of all students stay longer than 4 years. I think that most students just hope to find a job in a subject they are passionate about, but when they actually go out into the workforce, they realize they should have majored in something else. I am still trying to decide whether I made the right decision about my major. I guess I’ll just have to wait and see! Don’t lose hope though, it is still possible to combine your passions with a secure future. Just because your interests don’t have a secure future doesn’t mean you should give up something you love! I found a way to incorporate my enjoyment of music with my biochemistry major. Originally I thought about becoming a music minor so I could continue my musical studies, but I found that the more I studied music academically, the more it just seemed like busy work. I could have easily continued to study music, but I decided to just take my general education (GE) classes early. The GE program differs from school to school, but some programs really help students explore different subjects (if you already know what you’re doing though, it’s kind of annoying). The GE program is so extensive at Chapman that I was able to explore different subjects, and I eventually developed an interest in business instead. My suggestion would be to explore different majors earlier (maybe even in high school) and have a back-up plan. For example, if you have a huge interest in art history, then perhaps think about double majoring or picking-up a minor. Decide whether you want to go to college to become more experienced in a field or to lay the stepping stones towards your future. If all else fails, just keep in mind that some people get jobs that have nothing to do with their college majors ! The decision is yours; what will you choose? This entry was posted in Uncategorized and tagged college, education, future, jobs, majors, undeclared. Bookmark the permalink. I agree. Sometimes it’s not working in a job related to your major which can make you happy but it’s the work environment you end up with that can contribute to job satisfaction. Many employers are also seeking people not only with technical expertise but people related skills so that they can get along with each other. I completely agree. Personal skills can play a large part in employment. Just having the skills to do a job just isn’t enough anymore. I also consider choosing a major a difficult thing to do, and I’m deciding between economics that I’m really interested in, and engineering that offers better employment opportunities in my country. I hope I’ll manage it. By the way Amanda, are you an international student in the US? No I am actually from California and studying in California. Good luck on choosing your major! I find economics to be extremely interesting. It’s on of the reasons why I decided on a business minor. I’m sure you’ll be great at whatever you choose!